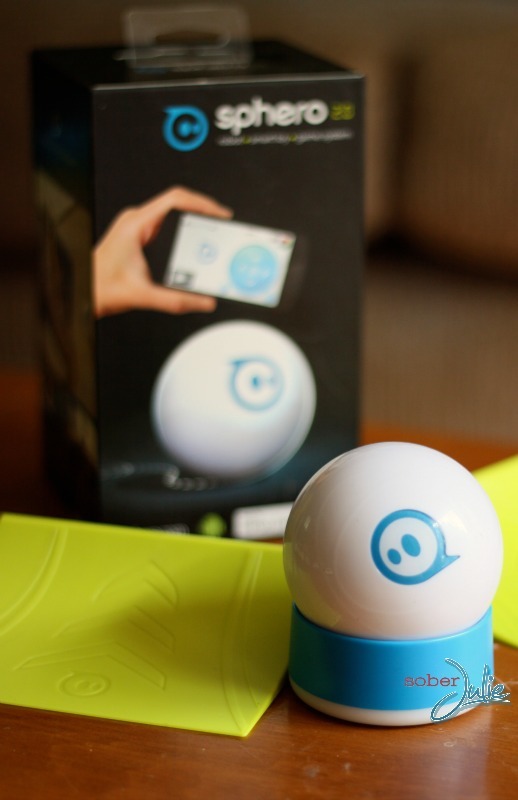 You Are Here Home » Review & Giveaway » Baby/Children » Sphero, A Cool Tech Toy! 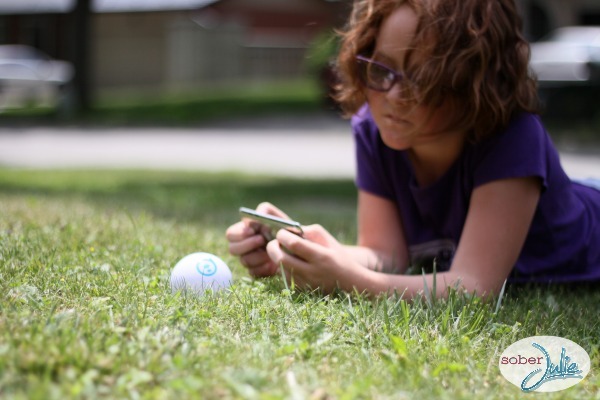 Sphero, A Cool Tech Toy! Well hello everyone, this is Lisa Post writing here today sharing my review at the request of my good friend Julie. I got the wonderful opportunity to do a review on the Sphero 2.0…and it is a pretty cool tech toy! It gave some great fun to everyone in the family! First, my 14 year old son got it all set up on his iPad. And there was really nothing to the set up! You do a quick download of the FREE app, turn it on and let it quickly sync up via bluetooth. Just minutes and you are ready to go! As a quick test of Sphero’s abilities, my hubby took a few minutes and downloaded the Sphero apps on his Android phone, just as easy! There are about 30 games available on iTunes and the Android Play Store…everything from Golf to Colour Grab to The Rollling Dead to Sharky the Beaver (which is only available on iTunes)….and they are ALL FREE apps!! That means that the fun with this techie toy is really endless! Retailing for $129.99, Sphero 2.0 is a fast, fun toy with tons of different ways to play! 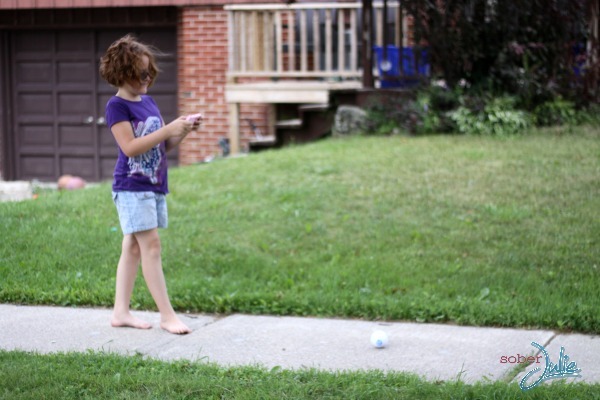 We found that after a couple of weeks with Sphero, the person who loved it the most and still played with it all the time is my 8 year old daughter, Charley. 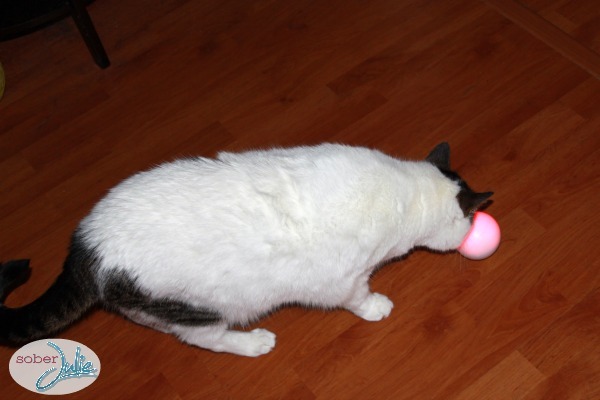 Where she goes, Sphero follows! Sphero would make a great gift for kids of all ages because the variety of apps really allows you to customize the game play. Lisa Post is a mother of two great kids (aged 14 and 8) and a wife of 15 years to a wonderful man. 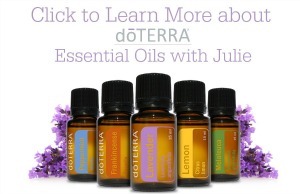 She is a regular contributor to SoberJulie.com and can be found talking about all things Paleo on Posty Goes Paleo. Disclosure: We were provided product in order to perform this review, all opinions are our own. Looks kind of neat! I am not tech savy but love the new gadgets.